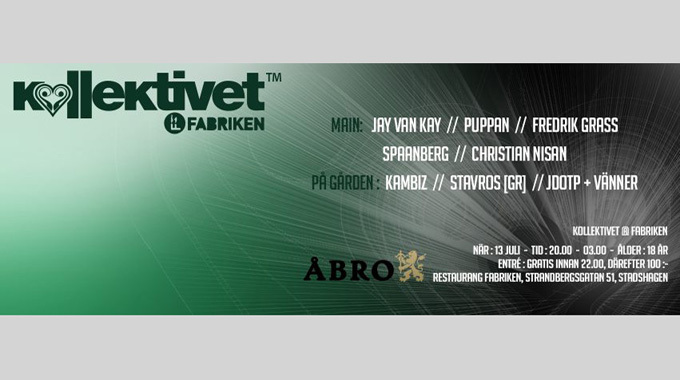 It’s once again time for Kollektivet Sthlm to have a party. This time it’s a hot summer night at Fabriken in Stockholm, giving you as a guest everything from deep house, trance and techno. The doors opens up at 20.00 with great prices in the bar and a barbecue ready for action.